As much as I love spring colors like OPI Lisbon Wants Moor OPI, I just can’t resist a bright polish like OPI We Seafood and Eat It. 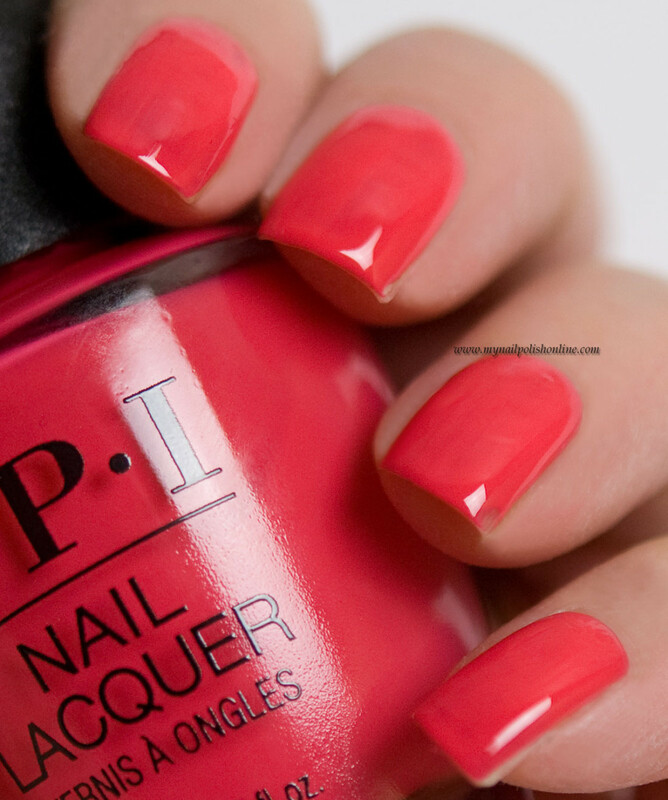 I mean wow, this polish is just perfect for the summer! I also found it perfect to brighten up a gloomy day like the one we just had the other day. When it comes to color, I love the milky look of this polish. It’s something different about OPI We Seafood and Eat It. I also love the neon look of it even if I’m pretty sure it wouldn’t be classified as neon. In my eyes, neons should dry matte which I don’t think this one did. I could be wrong though. What also surprised me was that this polish can be easily worn with one single coat, which I certainly did in the pictures down below. One coat with minimal VNL. Isn’t that amazing! If you look in the pictures, you can’t really tell that I have a VNL. I can barely see it in person even if I know it’s there somewhere, hehe. I’m sure that with shorter nails, you won’t need a couple of coats. I’m not sure how well this polish would work in nail art, but then why not. If you think about it, almost all polishes would work with nail art, depending on which nail art one uses, or which color one pairs the polish with. I mean, this polish would work nicely with a black or a white pattern. Those colors would contrast a lot with a neon-ish base like this one. 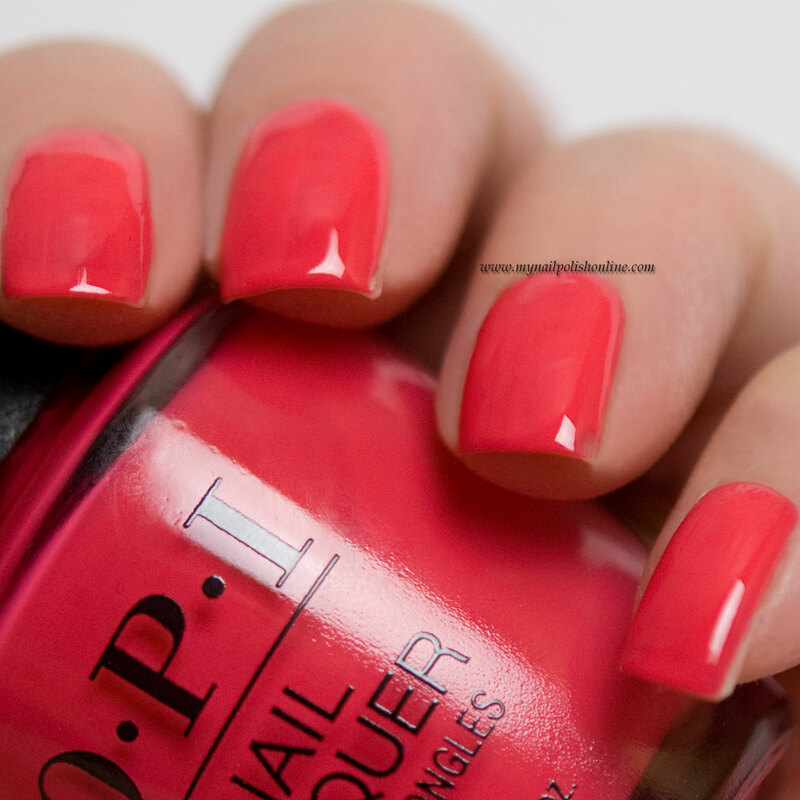 OPI We Seafood and Eat It is part of OPI’s latest collection Lisbon. The collection is a twelve piece one containing a great variety of colors, most of them being crèmes. The collection will be released in Sweden during February. Eu acho essa cor linda…pena que em mim fique horrivel. Oh yes I do love that shade! Det här är jättesnyggt, såna här lack kan jag längta efter till våren och sommaren!